This entry was posted on Thursday, March 17th, 2011 at 11:12	and tagged with donationware, indie stone, Project Zomboid and posted in Games business & marketing, Indie community activism. You can follow any responses to this entry through the RSS 2.0 feed. As if we didn’t comment here. What a bunch of dicks those Lemmy and Binky are. Indie Stone was a nice welcoming (and reassuring) place when I first quit my job to fiddle around making indie games so it’s only good manners to support you when you need it. 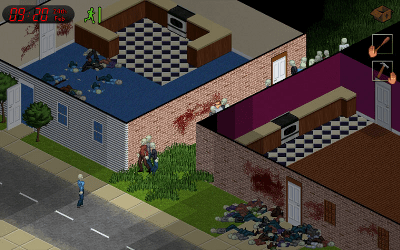 Plus, it helps that Project Zomboid actually looks like exactly the sort of thing I would enjoy anyway.